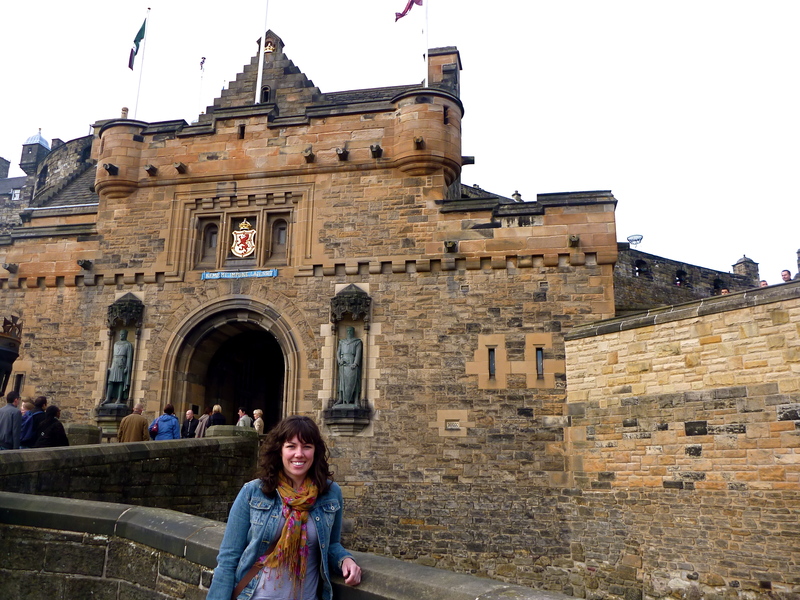 In September 2010, I got on a plane and went to Scotland for the 2nd World Parkinson Congress! And presented some electromyographic data on how the muscles of males and females with Parkinson’s were more active during functional tasks (i.e. grip strength, walking, balance), indicating their muscles have to work harder and they may be more prone to fatigue than age-matched persons without Parkinson’s. 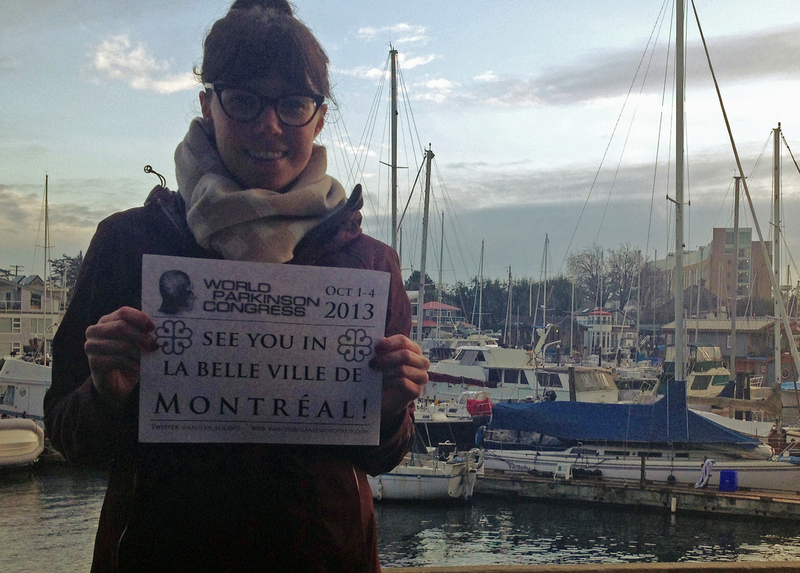 … and I can’t wait to do it again in October 2013 at the 3rd World Parkinson Congress in MONTREAL, CANADA! … from Victoria BC’s inner harbour! … from West Bay Marina in Victoria! 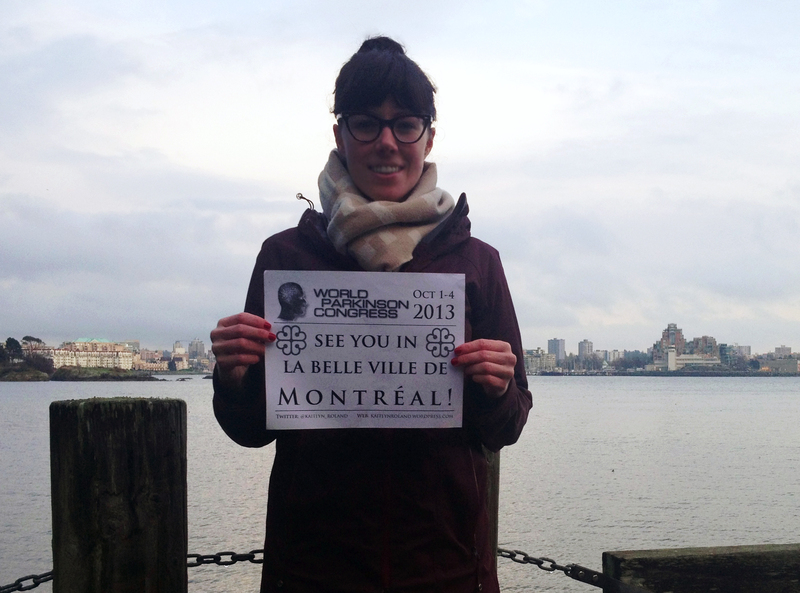 I’m bringing my passion for Parkinson’s research and my yoga and will SEE YOU in Montreal! Countdown is on … much love. 1. The Parkinson’s Voice Initiative was started by Max Little. He and his team developed a cheap and simple tool that uses precise voice analysis software to detect Parkinson’s with 99 percent accuracy. That means a simple phone call can help detect if there are subtle tremors in your voice, indicating Parkinson’s. Participants call in and tell the answering machine whether they can been diagnosed with Parkinson’s or not… then you proceed to open up and say “AHHHHH“. 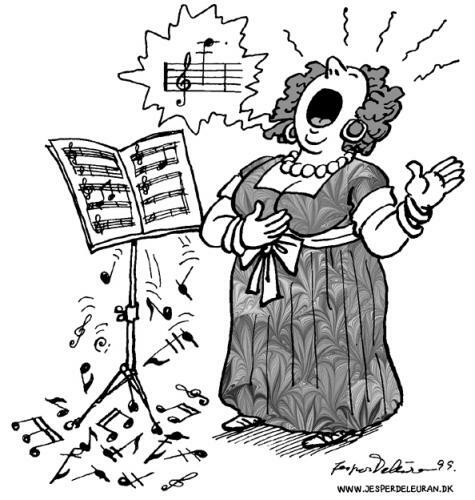 The vocal tremor is picked up with an algorithm. … Early detection of Parkinson’s with only a telephone? Even Michael J Fox thinks it’s a good idea! much love. On Tuesday I took part in Parkinson’s Disease Foundation expert briefing on Gait, Balance and Falls in Parkinson’s disease. Thus, we want to ID walking problems as soon as possible to prevent onset of disability over time. What to do about falls? Be active & stay active … reduce disability and optimize independence and quality of life! Start a balance & strengthening program *try chair pose (see HERE), which targets strength, balance and transfers! If you are interested, the full presentation slides are available HERE: PDF Expert Briefing Slides. Go get moving and bring some balance into your life. much love. PS. 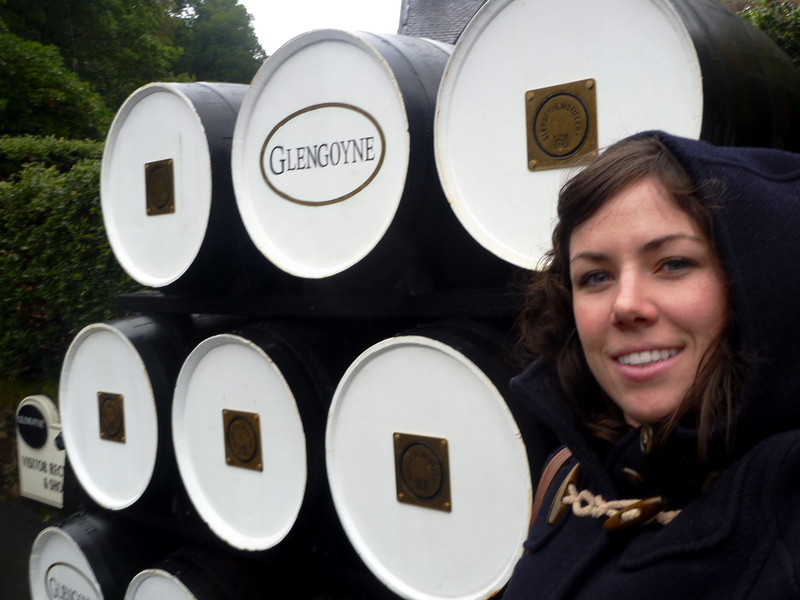 Want more expert briefings? Check out Coping skills for Parkinson’s care partners ! After all the sitting and visiting I did over the holidays, my hamstrings ache at the sight of a forward fold! 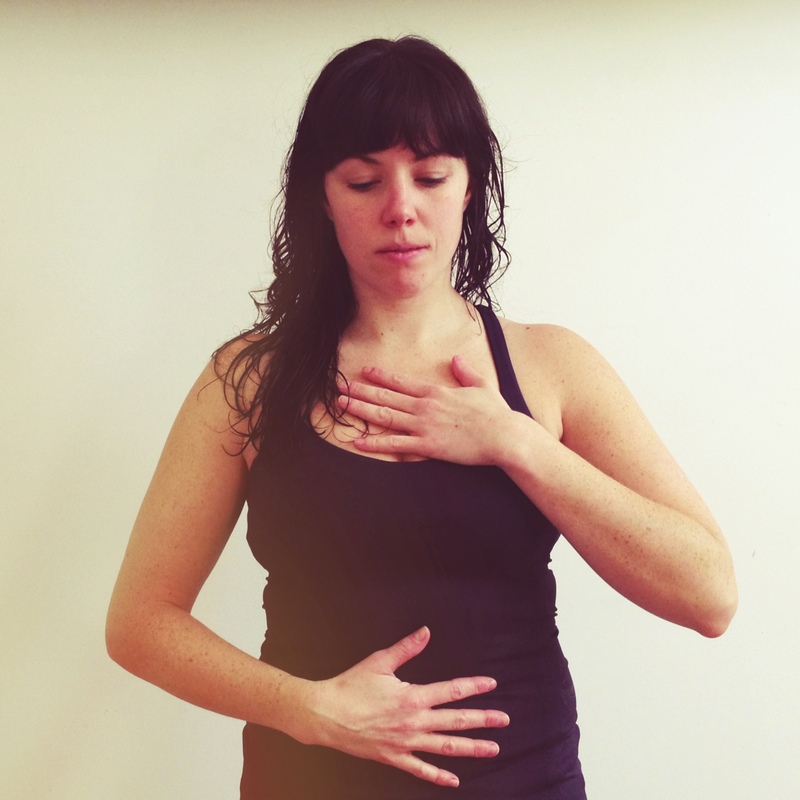 … this is why I LOVE yoga props! With a little extra love & support, I can safely start stretching those pesky hamstrings back out! 1. Bolster … this is my go-to! It’s useful underneath your pelvis to tip it forward when seated on the floor (helps with tight hips/hamstrings!) and I especially love laying on my back length-wise along the bolster to open my chest (see image #1)! 2. Strap … there are like “arm-extenders”! I use this especially when lying on my back to stretching out my hamstrings; I just have to lasso my foot and it relieves any strain on my lower back (see image #3). 3. Block … the floor is instantly closer! It can also be used to support your knees in reclining cobblers pose (see image #1). 4. Meditation cushion … it has a bean-bag like fill and is oh-so-comfortable for seated meditation or just regular-floor sitting (we even sit on these instead of chairs and eat dinner at our coffee table!). 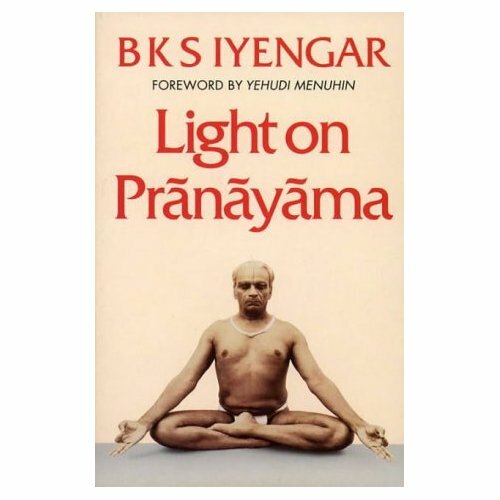 Elevates my hips and helps me to settle in to a comfortable meditation practice. Props are a great way for beginners to safely get into a pose, or for those more experienced yogis to deepen their practice. p.s. 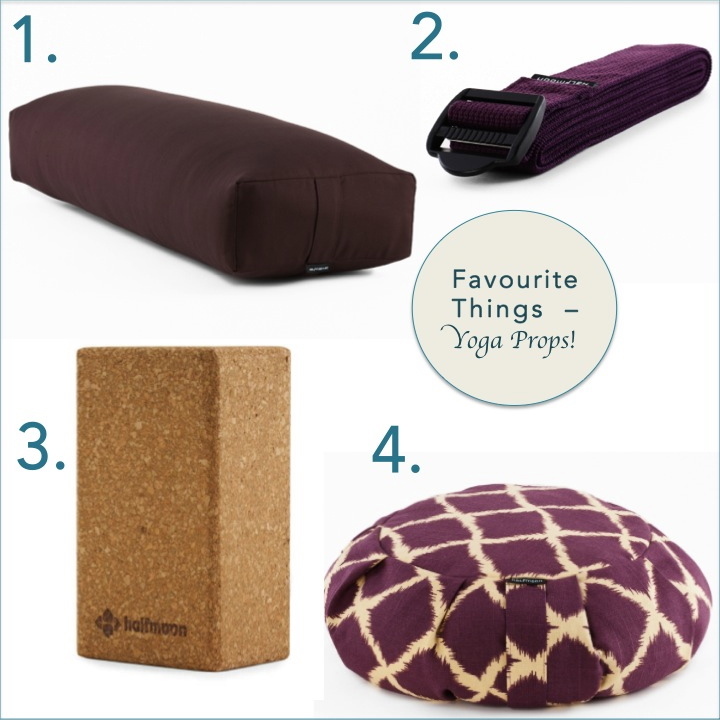 all props shown here are from Halfmoon, a Canadian company passionate about yoga that I personally support. 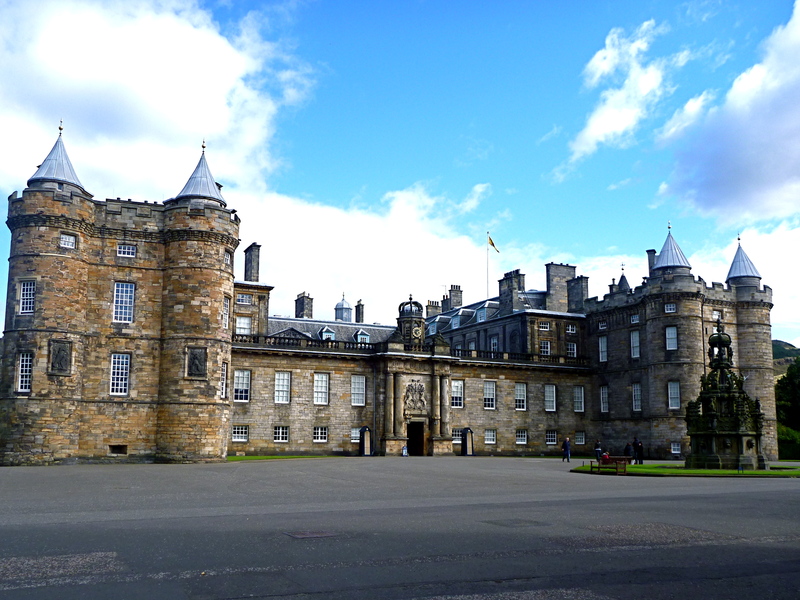 Parkinson’s disease can exaggerate the frailty constitution. 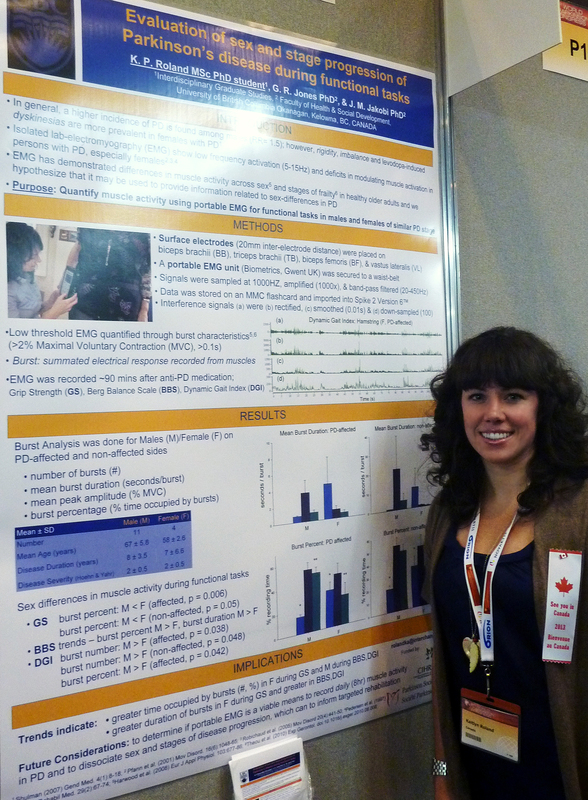 This past week, I’ve presented some of my PhD research specifically focusing on frailty and Parkinson’s disease… I’ve talked about the importance of quality of life and physical activity, especially in females. Now I want to talk about Parkinson’s disease management. As we know, there currently is no cure for Parkinson’s (… but fingers crossed! ); therefore the disease is managed by a multidisciplinary healthcare team through a combination of medications and therapies (including, physical, speech language, occupational, etc.). The findings of this paper demonstrated that the daily dosage of dopaminergic medication best indicated your level of frailty… more levodopa = more frail. Now, what this REALLY means is: Parkinson’s is progressive, so as the disease progresses medication dosage is adjusted to manage the increasing symptom severity. For example, as the disease progresses FATIGUE becomes a major concern and can be most disabling. We know: Dopamine deficiency –> Fatigue. So, in Parkinson’s: Dopamine decline –> Fatigue –> (*Frail* –>) Increase levodopa dose. 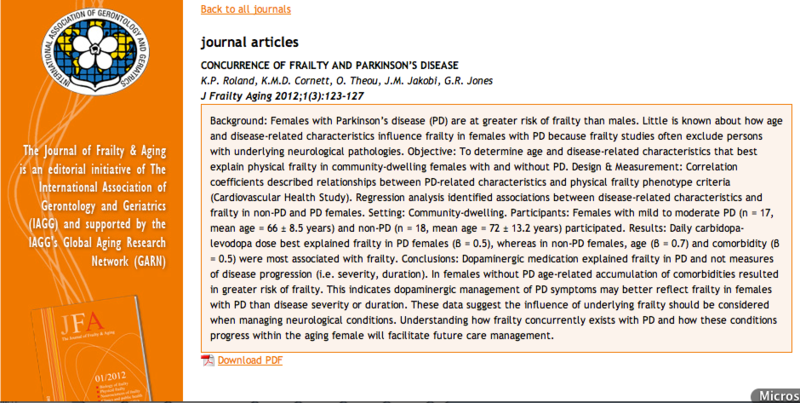 Understanding how frailty relates to Parkinson’s can improve early identification and targeted management strategies… which can ultimately preserve functional independence! Thanks for letting me share some of my work! much love.